Dr. Andrew W. Saul www.doctoryourself.com and by the Journal Of Orthomolecular Medicine. The importance of diet in relationship to optimal health has been understood throughout recorded history. Hippocrates regarded food as a primary form of medicine more than 2,500 years ago. Records from ancient Egypt as far back as 5000 BC show the use of specific foods to treat various conditions. 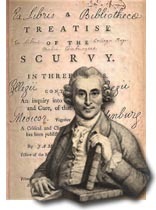 The first person to show a direct link between disease and a lack of a specific nutrient was James Lind, a physician in the British navy, who discovered that sailors on long voyages without rations containing citrus fruits developed bleeding gums, rough skin, poor muscle tension, and slow-healing wounds, all symptoms characteristic of scurvy. In 1757, in one of the first controlled medical experiments, Lind demonstrated that when sailors were supplied with lemons, limes, and oranges, scurvy could be prevented. As a result of his findings, Captain James Cook made it mandatory that every English sailor be supplied with rations of lemons and limes, enabling to sail around the world scurvy-free, as well as supplying them with the nickname „limeys.“ Today, it is well known that scurvy is due to vitamin C deficiency. Over twenty years before Pauling, McCormick had already reviewed the nutritional causes of heart disease and noted that four out of five coronary cases in hospital show vitamin C deficiency. McCormick also early proposed vitamin C deficiency as the essential cause of, and effective cure for, numerous communicable illnesses, becoming an early advocate of using vitamin C as an antiviral and an antibiotic. Modern writers often pass by the fact that McCormick actually advocated vitamin C to prevent and cure the formation of some kidney stones as far back as 1946. And fifty years ago, McCormick „found, in clinical and laboratory research, that the smoking of one cigarette neutralizes in the body approximately 25 mg of ascorbic acid.“ His early use of gram-sized doses to combat what then and now are usually regarded as non-deficiency-related illnesses set the stage for today’s 100,000 mg/day antiviral/ anticancer vitamin C IV’s. Another pioneer in the concept of orthomolecular nutrition was Roger Williams, Professor of Chemistry, discoverer of pantothenic acid (vitamin B5 ), and founder and director of the Clayton Foundation Biochemical Institute at the University of Texas which, under the directorship of Dr. Williams, was responsible for more vitamin related discoveries than any other laboratory in the world. He also developed the concept of Genetotrophic disease. The best word to describe the Dutch physician, Cornelius Moerman, would be „steadfast.“ He withstood the strongest opposition of his colleagues during his entire professional life. Even today in the Netherlands, his name remains symbolic, forever connected to nutritional therapy, especially of cancer. Prior to World War II, Dr. Moerman published his view that cancer is not a local disease, but the tumor is the end stage of the deterioration of the total body. Strengthening the immune system, he said, is the answer to this disease, and nutrition plays the central role. Cornelius Moerman’s work lives on today in the „Moermanvereniging,“ an ever-growing Dutch association of patients who advocate nutritional therapy for cancer. For decades, vitamin E was lampooned as a „cure in search of a disease.“ In 1985, Linus Pauling wrote: „The failure of the medical establishment during the last forty years to recognize the value of vitamin E in controlling heart disease is responsible for a tremendous amount of unnecessary suffering and for many early deaths. The interesting story of the efforts to suppress the Shute discoveries about vitamin E illustrates the shocking bias of organized medicine against nutritional measures for achieving improved health.“ Dr. Pauling would most likely have appreciated this comment from a recent Harvard Health Letter: „A consistent body of research indicates that vitamin E may protect people against heart disease…The data generally indicate that taking doses ranging from 100 to 800IU per day may lower the risk of heart disease by 30%-40%.“ Over half a century ago, the Shute brothers and colleagues showed that, with even higher doses than those, and with an insistence on the use of natural vitamin E, the results are better still. Born in Pennsylvania, Dr. Klenner received his medical degree from Duke University in 1936. After three years post-graduate training to specialize in diseases of the chest, Dr. Klenner continued his general practice. „His patients were as enthusiastic as he in playing guinea pigs to study the action of ascorbic acid. The first massive doses of ascorbic acid he gave to himself. Each time something new appeared on the horizon he took the same amount of ascorbic acid to study its effects so as to come up with the answers‘ (Journal of Applied Nutrition, 23: 3 & 4, 1971). Humanity can thank biochemist Irwin Stone for introducing Linus Pauling to vitamin C. Pauling spoke of this highly influential first contact, when Stone sent him „copies of some papers that he had just published, with the general title ‚Hypoascorbemia, a Genetic Disease‘. . . The 3,000 milligrams per day that he recommended is 50 times the RDA. My wife and I began taking this amount of the vitamin … (and) the severe colds that I had suffered from several times a year all of my life no longer occurred. After a few years I increased my intake of vitamin C to 100 times; then 200 times, and then 300 times the RDA (now 18,000 mg per day). „Among the several arguments Irwin Stone presented to support his thesis that the proper physiological intake of vitamin C is 50 or more times the RDA were two that especially impressed me. . . Almost all animal species — dogs, cats, cows, horses, elephants, and so on — have continued to synthesize ascorbate. . . The second fact that impressed me is that animals manufacture very large amounts of ascorbate. The amount manufactured is approximately proportional to the body weight, and, converted to the weight of a human being, ranges from about 2,000 to 20,000 milligrams per day. Irwin Stone concluded that human beings with an average diet are accordingly all suffering from hypoascorbemia, a deficiency of ascorbate in the blood and tissues.“ (Linus Pauling in His Own Words : Selections from his Writings, Speeches and Interviews, edited by Barbara Marinacci. NY: Simon and Shuster, 1995). There could be no finer tribute to Irwin Stone than this. In Memoriam: Irwin Stone, Ph.D.
„If there’s a drug that can alter the brain’s biochemistry, there’s usually a combination of nutrients that can achieve the same thing without side-effects,“ said Dr. Pfeiffer, founding director of the Brain Bio Center in Princeton, New Jersey (1973). Dr. Pfeiffer spent most of his life researching for the causes and cure of mental illness. He found that biochemical imbalances in the body were the blame for many psychological problems. His study on more than 20,000 schizophrenic patients enabled him to divide schizophrenia into 3 biochemical groupings called histapenia, histadelia and pyroluric 2, 3. In addition to two popular books on supervised fasting, Dr. Cott wrote Dr. Cott’s Help for Your Learning Disabled Child: The Orthomolecular Treatment and was a frequent contributor to the Journal of Orthomolecular Psychiatry. His papers on Controlled Fasting Treatment for Schizophrenia and the Orthomolecular Approach to the Treatment of Learning Disabilities were presented at the Nutrition and Mental Health Hearing before the Select Senate Committee on Nutrition and Human Needs in 1977. Orthomolecular medicine describes the practice of preventing and treating disease by providing the body with optimal amounts of substances which are natural to the body. Two-time Nobel Prize winner, and molecular biologist, Linus Pauling, Ph.D., coined the term „Orthomolecular“ in his 1968 article „Orthomolecular Psychiatry“ in the journal „Science“. Pauling described „Orthomolecular Psychiatry“ as the treatment of mental disease by the provision of the optimum molecular environment for the mind, especially the optimum concentrations of substances normally present in the body. Orthomolecular is a term made up of ortho, which is Greek for „correct“ or „right“ and molecule which is the simplest structure that displays the characteristics of a compound. So it literally means the „right molecule“. Pauling later broadened his definition to include orthomolecular medicine, which he defined as „the preservation of good health and the treatment of disease by varying the concentration in the human body of substances that are normally present in the body“. He stressed the adjective orthomolecular is used to express the idea of the right molecules in the right concentration. Pauling firmly believed that daily supplementation of vitamins in optimum amounts, in addition to following a healthy diet, was the most important step that anyone could take to live a long and healthy life, and by following his own advice, he lived productively for 93 years. „Professor Pauling as always is ahead of his time. The latest research on vitamin C substantiates his twenty-five years of advocacy and investigation on the benefits of vitamin C.“ J. Daniel Kanofsky, MD, MPH, Albert Einstein College of Medicine. Dr. Josef Issels‘ roots were in the German tradition of ‚Naturheilverfahren‘ (natural practice). Because of his well-known professional skills, his kindness, and relatively high rate of survivors, many cancer patients in the terminal stage came to consult him. In 1951, one wealthy and grateful patient funded his private clinic, the Ringbergklinik in Rottach-Egern (Bavaria) with 36 beds. Issels‘ successful work continued until 1960, when he was arrested by the German ‚Kriminalpolizei‘ on the instigation of his medical opponents. He had to close down his clinic for years, in spite of a report from an independent scientist who had concluded that, of 252 terminal cancer patients with histologically proved metastases, 42 had survived for at least five years (17%) with the Issels therapy. For terminal patients, such a score is disproportionately high. Issels believed that cancer was the end stage, the ultimate symptom, of a lifetime of immune system damage which had created an environment for the tumor to grow. Issels argued that conventional therapy just looked at the tumor without recognizing this longtime preconditioning period. Just cutting out or irradiating the tumor „mit Stahl und Strahl“ („with scalpel and radiation“) was not eradicating cancer. Instead, Dr. Issels saw the body as having great potential to heal itself. Good nutrition and a clean environment were central to his therapy. Like Dr. Max Gerson, he recognized the importance of detoxification. In the end, Issels was proven to be right. From 1967 to 1970, Professor J. Anderson of King’s College Hospital and member of the World Health Organization inspected Issels‘ reopened clinic. He confirmed the highly significant survival rate of Issels‘ terminal cancer patients. His legacy is continued by the work of his wife, Ilsa and his son Christian. 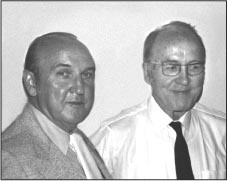 Dr. Cheraskin’s educational legacy continues through the Cheraskin Archive in upstate New York, which contains the doctors lecture slides and copies of his papers in the care of Andrew Saul. His complete bibliography of books and papers is posted online at www.doctoryourself.com/biblio_cheraskin.html. „Cherri,“ a regular speaker at the Nutritional Medicine Today Conferences, was always informative and entertaining. He last presented in Vancouver for our 25th conference in 1996, where he received the Orthomolecular Medicine Physician of the Year Award. Linus Pauling wrote: „In 1967, I happened to read a number of papers published by two psychiatrists in Saskatchewan, Canada. Dr. Abram Hoffer and Dr. Humphry Osmond. (T)here was something extraordinary about their work. They were giving very large amounts of niacin to the schizophrenic patients, as much as 17,000 milligrams per day, which is 1,000 times the RDA. I was astonished that niacin and ascorbate, with the striking physiological property, when given in very small amounts, of preventing death from pellagra and scurvy, should be so lacking in toxicity that 1,000 times the effective daily intake could be taken by a person without harm. This meant that these substances were quite different from drugs, which are usually given to patients in amounts not much smaller than the lethal dosages. Of all the medical mavericks, Hugh Riordan was one of the most knowledgeable, both as a maverick par excellence and as an historian of mavericks. Hugh was an orthomolecular fighter, who fought hard and consistently on behalf of orthomolecular concepts. He was challenged legally when he wanted to treat his patients with high dose vitamins in the hospital. He won. He was the first to demonstrate how large doses of vitamin C are chemotherapeutic for cancer patients. He was a pioneer in establishing the new vitamins-as-treatment paradigm. Abram Hoffer was an internationally recognized physician, author, medical researcher and pioneer in the use of vitamins and nutrients to treat disease. Dr. Hoffer has spent the past five decades conducting research related to the practice of orthomolecular medicine, which emphasizes the use of nutrients in optimum doses for the treatment of a wide range of diseases. His medical discoveries have been the topic of more than a dozen books and literally hundreds of research papers. More about Dr. Hoffer — his biography, books, research papers and homepage. Healing with Optimal Nutrition Based upon Biochemical Individuality: “When in doubt, try nutrition first”. – Roger J. Williams Ph.D. The term “orthomolecular” comes from the root words ‘ortho’ and ‘molecule’, meaning ‘correct molecules’ or (vitamins, minerals, amino acids, enzymes, and essential fatty acids) that are essential for the biochemistry and physiological functioning of the body. Two –time Nobel Prize winner, and molecular biologist, Linus Pauling Ph.D., first coined the term “orthomolecular” in the journal of “Science” in 1968. Pauling referred to orthomolecular therapy as a means of health preservation and dis-ease prevention through varying the concentrations of substances normally present in the body. While Linus may have been the first to use the term “orthomolecular”, there are a number of pioneers in the concept of orthomolecular nutrition responsible for development and advancement in the use of varying diet and supplements for optimal health and healing. Hipprocrates, a Greek physician referred to as the “father of medicine” is first credited with using food as a form of medicine more than 2500 years ago. He saw illness as the result of bodily imbalance and therapy was simply unlocking the body’s own inherent ability to re-balance and heal itself. It was not until the 1700s that British navy phsycian, James Lind, conducted one of the first scientifically controlled medical experiments that showed lack of a specific nutrient created disease. Lind proved scurvy could be prevented with citrus fruits such as lemons, limes and oranges. Vitamin C deficiency was later identified and then recognized as the cause of scurvy. In 1893, Dutch physician, Chritiaan Eijkman discovered a diet consumed consisting primarily of polished rice, deficient in vitamin B, caused beriberi and other diseases. Then in the late 1920s, Max Gerson, MD, found cancer patients typically suffered from toxicity and nutrient deficiencies. Gerson Therapy consisting of vegetable juices, and other natural therapies facilitated the filtration of liver toxins, and became known as a metabolic treatment that cleanses and strengthens the body’s ability to heal itself. 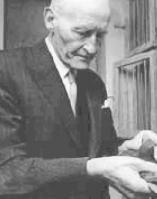 Later in 1937, Hungarian Albert Szent-Gyorgyi, Ph.D., won a Nobel prize for discovering and isolating ascorbic acid or vitamin C earlier identified as preventing scurvy. Only a short fifty years ago, Toronto physician William J. McCormick M.D., found vitamin C deficiency a primary reason for many degenerative conditions and communicable illnesses. He advocated vitamin C as an antiviral and antibiotic. Rodger J. Williams, Ph. D. (2004 Hall of Fame Inductee), advocated “the nutritional microenvironment of our body cells is crucially important to our health, and deficiencies in this environment constitute a major cause of disease.” Williams discovered pantothenic acid or vitamin B5. Prior to world war II, Dutch physician, Cornelius Moerman (1898 – 1988), published his view on cancer and that ‘strengthening the immune system is the answer to this disease, and nutrition plays the central role’. In 1933, Dr. Wilred and Evan Shute, defied conventional medicine’s understanding of disease, and used vitamin E to successfully treat and lower the incidence of heart disease. Their discoveries about vitamin E were largely suppressed by organized medicine who opposed nutrition being used to improve health. 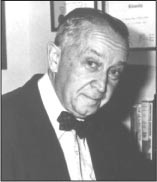 In the early 1950’s, Dr. Frederick Klenner, produced consistent cures of a wide variety of viral and bacterial diseases using large doses of vitamin C.
Dr. Alan Cott in 1977,presented to the senate committee on nutrition, his research on therapeutic fasting and orthomolecular treatment for psychiatric patients and children with learning disabilities. Dr. Josef Issels, (1907-1998), focused cancer treatment on nutrition and detoxification. He believed cancer was the by-product of lifelong immune system damage and it could not be eradicated with surgery or radiation. William Kaufman, M.D.,(1910 -2000)treated arthritic patients with joint dysfunction using megadoses of vitamin B3 (niacin)and described dramatic improvement. He employed megavitamin therapy safely and effectively for a wide range of conditions to help people live healthier lives. 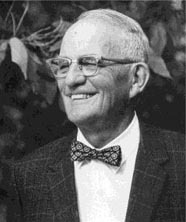 Dr. Cheraskin, (1916 – 2001)physician, dentist and lecturer, wrote many scientific articles and books on nutrition and was one of the first to relate oral health with total body health. Dr. David Horrobin, (1939 – 2003) was one of the pioneer researchers of EFAs, lipid biochemistry and its correlation with disease. Dr. Humphry Osmond, (1917 – 2004), co-discovered niacin therapy for schizophrenia and was a pioneer in the investigation of chemistry of consciousness. Hugh Desaix Riordan M.D. (1932 – 2005), defended orthomolecular concepts, challenging the medical establishment to use high dose vitamins in hospital and was the first to show the chemotherapeutic effect of large doses of vitamin C for cancer, helping to establish vitamin therapy treatment. Abram Hoffer, M.D., Ph.D.,(1917-2009) a physician, author, medical researcher and pioneer in orthomolecular treatment of disease. In the 1950’s, Dr. Hoffer co-developed treatment for schizophrenia using vit C and B3. He also discovered niacin’s cholesterol lowering capability. Dr. Hoffer moved to Victoria, British Columbia, Canada in 1976 where he practiced psychiatry for many years, and was a consultant in orthomolecular nutrition and in the proper use of vitamins. He was the illustrious President Emeritus of the International Schizophrenia Foundation and Journal of Orthomolecular Medicine, and a director of the International Organization of Nutritional Consultants (IONC). Dr. Hoffer believed orthomolecular nutrition to be the future of all the healing arts and professions and consulted with IONC on the addition of the designation, Registered Orthomolecular Health Practitioner (ROHP). Ortho – (from the Greek word meaning “straight” or “correct”) Molecular – of, relating to, or consisting of molecules. Molecule – [L. Molecula, little mass]. The smallest quantity into which a substance may be divided without loss of its characteristics. Health – [AS. Health, wholeness]. A condition in which all functions of the body and mind are normally active. Practitioner – Someone who engages in an occupation, profession, religion, or way of life. Even if the person has been practicing their entire life or has a PHD in the subject they will always be known as a Practitioner. Orthomolecular – Indicating the normal chemical constituents of the body or the restoration of those constituents to normal. Orthobiosis – [“ + bios, life]. Right living. A term used by Metchnikoff to encompass all the factors that may affect longevity and well-being. The assumptions informing the SARS scare are similar to ancient fears of angry, arbitrary gods who need to be understood (sequence the virus‚ genome) and propitiated with their very own ritual to be observed in perpetuity (develop a vaccine) which is very lucrative for the high priests (pharmaceutical companies). By contrast, understanding disease in terms of orthomolecular medicine places physicians and patients into an intelligent dialogue with Nature’s healing powers. Not surprising to an orthomolecular doctor is the fact that SARS mortality (326 dead worldwide by May) involved only people who were immune-compromised through bad nutrition or pre-existing health conditions (Lancet, May 3, 2003). SARS patients develop viral pneumonia, potentially fatal due to the destruction of the oxygen-carrying alveoli in the lungs. An inflammation-producing protein, known as tumor necrosis factor, is overproduced as the immune system goes into hyper-alarm. Standard medicine combats that with steroids and anti-viral drugs, which can cause dangerous anemia and suppress the immune system — that system which sounded its alarm in the first place because it was already too weak to fight. Not only did the ill-prepared immune systems of some people over-react dangerously to SARS, but so did the whole world, according to virus expert and Nobel laureate David Baltimore, Stephen Lewis of the UN’s AIDS program, and the relief organization Doctors Without Borders. They pointed out that over the last six months, a North American had a 10,000 times greater chance of dying from ordinary flu than from SARS (every day 55 people die of regular flu). IS SARS A GENETIC MUTANT VIRUS? SARS may be more than another nasty virus. One of the key Canadian SARS researchers, Dr. Frank Plummer of Canada’s National Microbiology Laboratory, disagreed with the World Health Organization’s assertion that SARS is caused by a specific corona virus, because only 40% of SARS patients tested were found to have it. Corona viruses mutate often in hours, but strangely this one didn’t change in seven weeks. Really “weird” said Dr. Plummer, is the fact that the SARS samples taken from people all over the world were genetically identical — a unique finding for a virus which adapts rapidly to local conditions and ought to have been different in every sample. Furthermore, some people who recovered from this virus became ill again, yet same-strain coronavirus infections were totally unknown, until now. Fundamentally unnatural is the fact that this virus is a hybrid: one side is like a virus that causes respiratory disease, the other looks like one that causes hepatitis and pneumonia (New Scientist, April 26, 2003). Nature does not go in for genetic recombinant technology. Are 60% of cases just regular viral pneumonia patients? And are the remaining 40% “real” SARS cases the result of an experiment gone wrong, as speculated in the international journal Virology (No. 77, 2003)? What we do know is that the biotech companies Prodigene and Monsanto have used coronaviruses to make an oral livestock vaccine (projected market: US $140 billion by 2020). Indeed, it is vaccines that all biotech companies are now pinning their hopes on, as reported in Nature (April 24, 2003), since the “industry is battling for survival.” Biotech stocks have fallen by 50% in the past two years because of waning investor confidence and increasing worldwide rejection of GMO foods. Interestingly, China had granted permits for those vaccine experiments and China’s Guangdong province is the epicentre of classic SARS from where it spread across the world. The late great chemist Linus Pauling (two time Nobel prize winner) coined the term “orthomolecular” in 1968, meaning “right molecule”: “Treatment of disease is a matter of varying the concentration of substances (right molecules) normally present in the body.” Orthomolecular medicine is based on two principles: First, illness is seen as a biochemical alarm reaction caused by inadequately nourished cells unable to support bodily systems. Specific vitamins, amino acids, minerals, coenzymes etc. need replenishing to restore function. Inadequate nutrition comes from processed foods and pesticides which kill essential nutrients, a repetitive mono-diet lacking sufficient organic fresh fruits and vegetables, and acquired addictions to sugar, alcohol, tobacco, and other toxic substances such as artificial sweeteners and anti-depressant drugs. Second, it is acknowledged that everybody is biochemically different due to variation in the personal history of biological and emotional stress, nutrition, genetic endowment, and cultural habits. Orthomolecular medicine has broad therapeutic guidelines, which are then fine-tuned to individual needs. Even hereditary diseases are seen as indications that this person has unusual requirements for a specific nutrient. Treatment involves nutrients because drugs (temporarily useful in an emergency) are designed to interfere with the body’s dynamics, i.e. its enzyme system, while nutrients always and unfailingly work as constructive helpers for those enzymes. This year’s Orthomolecular Conference was dedicated to the memory of David Horrobin who sadly died in his 50s on April 1. He lived long enough to see his life’s work on the diseases caused by essential fatty acid (EFA) deficiencies replicated and accepted by mainstream medicine. Harvard University and Johns Hopkins Medical school confirmed that EFAs are the central players in a family of conditions ranging from hyperactivity to schizophrenia and include diabetes, thyroid diseases, asthma and allergies (Medical Post, April 29, 2003). (Horrobin began his research career after being fired as medical director from a New York psychiatric hospital in the 1970s because his dietary interventions cured even the most chronic mental patients so rapidly that hospital profits were threatened.) Horrobin’s research was the largest and most successful assault on poisons like Ritalin and antidepressants. This conference always begins with a “Forum” at which patients speak of their experiences with orthomolecular medicine. The Forum has been organized for years by Robert Sealey, a chartered accountant whose mind and life were saved by Dr. Hoffer after escaping the living hell of standard psychiatry. Sealey’s books now offer practical help and guidance for victims of mental disorders. He is of special help to people whose manic-depression wrecked their finances, as he can show them the road back to financial and mental balance. This year, the Forum testimonies included a Princeton University theologian who suffered a cortisone-induced psychosis after contact with poison oak. Misdiagnosed for years and drugged out of whatever mind remained, she finally was rescued and now rescues others from the same possible fate. In another testimony, a young musician and his mother described the descent into florid insanity (and the painstaking, dramatic stages of complete recovery) following exposure to street drugs, allergy-inducing foods, and an especially high sensitivity to the toxicity of tobacco. As well, the film by Hollywood star Margot Kidder (of Superman), Masks of Madness, was also shown. It is impossible to attend a Forum meeting and not be profoundly shaken and overwhelmingly grateful that doctors like Abraham Hoffer exist in this world. The scientific presentations, in addition to Dr. Hoffer’s marvellous overview of the history of orthomolecular medicine, included presentations on new discoveries about vitamin B3 by Dr. Jonathan Prousky, vitamin D by Dr. Reinhold Vieth, and addiction research into curing alcoholism, street drugs and antidepressants by Dr. Joan Mathews Larson. These presentations were so outstanding, the reader is urged to order the tapes and organize their own orthomolecular conference at home for family and friends. Dr. Hoffer told how in the 1950s he realized one day that the chemical structure of mescaline, LSD, and certain proteins our bodies produce under stress are all hallucinogens. Testing his psychiatric patients confirmed this insight, which eventually led to the understanding that such stress-based imbalances were mediated through the lack of EFAs, as Dr. Horrobin later proved. Dr. Prousky reported of his successful new uses of vitamin B3 (niacin) for classic migraine, for example. The flush-producing pure B3 opens the constricted blood supply within minutes. In severe allergic reactions B3 works quickly and dramatically because it causes T cells to release the body’s healing histamine. Dr. Vieth, a Canadian researcher and world expert on vitamin D reported on the new Recommended Daily Allowances based on his work, namely a minimum of 1,000 units daily. His research explores this vitamin’s effect on preventing osteoporosis, cancer and chronic disease. Dr. Larson is internationally famous for her work with alcoholism treated as a nutritional deficiency response. While Alcoholics Anonymous can claim only a success rate of 40% (followed up for seven years), her treatment boasts a success rate of 75% followed up over 20 years. Her work now has expanded to include curing victims of food-mediated and anti-depressant-induced addictions. The case histories she reported from her institute were jaw-droppers. An extraordinary experience in childhood is what eventually guided her towards orthomolecular medicine: Her family had invited a blind child for a summer vacation and, along with the other children in the house, the guest had been given cod liver oil daily. By the end of the summer the child’s sight was fully restored. The conference also celebrated Dr. Hoffer’s 85th birthday. Having spent his life showing how processed, sugar-laden foods cause mental and physical illness, it comes as sweet vindication that the World Health Organization published its report, “Diet, Nutrition and the Prevention of Chronic Disease” on April 23. In it the WHO tells the food and soft drink industry to reduce sugar to 10% of caloric intake from 25%, and remove vending machines from schools. As reported in The Medical Post, May 13, 2003, the Sugar Association’s president Andrew Briscoe wrote to the WHO Director-General that he would see to it that the U.S. would stop its financial contribution to the WHO if the report were not withdrawn. The WHO made the threat public and stood firm. Are intimations of a Golden Age of Medicine coming into focus, promising that medicine will serve humanity once again instead of Big Business? History has given us some intimations of the epidemiology of good nutrition: During World War I, Denmark suffered a severe drought as well as the Allied food blockade. So the Danish government slaughtered 80% of the country’s livestock and fed the grain (mostly vitamin- and mineral-rich rye and wheat bran) to its citizens instead. As a result, mortality from all causes fell by 17% and when the great pandemic influenza of 1918 struck (killing 40 million people worldwide in one year), Denmark was virtually spared completely. And another story from European history goes: In England during World War II, refined flour became unavailable. As a result, the population was healthier after the war than before. In addition to the need for healthy food, a genuine “war on drugs” is needed — those mostly symptom-controlling and nutrient-depleting pharmaceutical phantoms on which our government spends annually $2 billion more than on medical services (Medical Post, May 13, 2003). Those and the genetically engineered freaks the food industry tries to force us to eat are, however, most successfully combated by consumer resistance and conscious engagement with “the right molecules.” An orthomolecular way of life offers the way to health. In Canada see www.HealthyWorldDistributing.com or 1-888-508-4787 or john@cureforsars.net (1-800-336-9266). 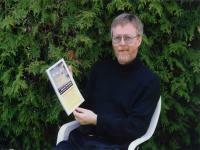 Robert Sealey is the author of Finding Care for Depression, Mental Episodes & Brain Disorders. My symptoms recurred over 28 years: on-again off-again episodes of depression with anxiety, dark thoughts and blue moods interspersed with high-energy phases and irritable outbursts. Periodically, I consulted physicians, psychologists and psychiatrists. As a trusting and a cooperative patient, I tried pills and therapy but was dismissed, misdiagnosed, mistreated, lied to and laughed at. At age 45, I was finally diagnosed with a bipolar II mood disorder, a form of manic depression. For the first time, I had the right medical words to understand myself. I wasn’t mad, sad or bad, just a person with a mood disorder. Desperate for help, I updated my Bachelor of Science degree (in biological and medical sciences and psychology) by studying self-help books, psychiatry texts and psychology references. Alone with my symptoms, I needed the reassurance that comes from learning how other people cope with mental problems. Even though I was not well, The Depression Workbook: A Guide for Living With Depression and Manic Depression by Mary Ellen Copeland inspired me to learn and renewed my hope for recovery. Reading became my first wellness recovery tool. Eventually I read the practice guidelines of psychiatry. They recommend accurate diagnosis and effective treatments. Would any competent psychiatrist short cut the guidelines by just labeling a sick patient as depressed, bipolar or disordered, without diagnostic tests? Why rush to prescribe pills like antidepressants, tranquilizers, anticonvulsants and mood stabilizers? Lithium for bipolars, SSRIs for depressives. Sounds quick and easy but what if the medications make a sick patient worse? What if a misdiagnosis leads to a misprescription? For months as my pills made me worse, I thought about suicide – I just wanted the pain to end. As my doctor increased the doses, I deteriorated. I desperately wanted to recover. Nobody likes it when a moody patient gets sicker, not the doctor, not the family and certainly not the patient. The system has three labels for the worst cases – refractory depression, treatment resistance and borderline personality. My psychiatrist, a published expert specializing in mood disorders, wrote ‘The Clinical Meaning of Refractory Depression’ for the American Journal of Psychiatry in which he defined “refractory depression” as problems with diagnosis and problems with treatment. That brainy expert repeatedly noted “refractory depression” in my medical file and kept writing prescriptions. He did not revisit my diagnosis or revise my treatment plan. While I deteriorated, he short-cut 13 standard procedures. For months, he increased doses and smiled as his pills caused side attacks and toxic effects. The stigma of a chronic mental illness distances depressives from healthy friends and family. Fault-finding and excluding do not help when sick people need medical care, encouragement and support. Instinctively I sought other people with similar problems, hoping to learn how they got well. Networking became my second wellness recovery tool. At mood disorder association meetings, I met people with diagnoses like depression, manic depression and dysthymia. Most of them were anxious and unsettled, wondering about their symptoms, treatments and prognosis. I felt comfortable with my moody tribe, welcomed and understood. While discussing our problems, we monitored our progress. We compared symptoms, side effects, diagnoses and therapies. Some people did well on high doses of meds, while others, like me, could not tolerate even low doses of our brain pills. Some talk therapies helped us improve our patterns of thinking, feeling and behaving but it was hard to make progress when we were sick. I started an independent depression project and interviewed more than 150 depressed people and family members, while studying the mental health care system and researching books and articles. One woman suggested the Journal of Orthomolecular Medicine. Imagine my surprise to find helpful information about restorative care just two miles from home in Toronto. The friendly editor of the Journal Of Medicine offered their booklist, newsletter and annual conference. Still cranky after years of bad moods and failed treatments, I could not resist this pleasant invitation to read about restorative care. My curiosity was aroused by the scientific and medical research, the fifty year history and success of orthomolecular medicine and the progress reports of recovered patients. Would ortho-care heal my brain? Skeptical, I tried a third wellness recovery tool-orthomolecular medicine. Disillusioned after years of failed doctor-patient relationships and determined to avoid short cuts, I read about orthomolecular health professionals who apply the life science of biochemistry to the art of medicine. Thanks to a little yellow book, The Way Up From Down, by California psychiatrist Dr. Priscilla Slagle, whose own mood disorder resolved when she tried orthomolecular medicine, I learned how to take nutritional supplements. I had already responded quickly to an extract of the world’s oldest plant, gingko biloba but some symptoms continued. A basic orthomolecular regimen of vitamins, minerals and amino acids, taken one by one and continued if they helped, soon restored my mental health. At conferences in Toronto and Vancouver, I met recovered patients and interviewed orthomolecular doctors. I read many books about orthomolecular medicine, intrigued by the work of Dr. Abram Hoffer, whose >30 books include Adventures in Psychiatry: The Scientific Memoirs of Dr. Abram Hoffer. He and his colleague Dr. Humphrey Osmond co-founded orthomolecular medicine in Canada in the 1950s while researching schizophrenia, developing an adrenochrome theory and customizing restorative regimens for psychotic patients. Their regimen for schizophrenia did not work for me; my diagnosis of bipolar disorder meant that I needed a different regimen. Nutrition & Mental Illness by Dr. Carl Pfeiffer, another colleague of Dr. Hoffer’s, explained how one of three regimens could help depending on each patient’s diagnosis and biochemical individuality. Dr. Pfeiffer’s histamine-lowering regimen worked best for me. The orthomolecular concept makes sense. A depressed brain needs to “refuel” its energy, stabilize its enzymes, balance its neurotransmitters and restore its capabilities. As a sick brain heals, symptoms resolve. The restored brain no longer misfires; bad moods pass; life looks brighter. A bipolar brain also needs to control its tendency to get overexcited. Fortunately, GABA, the brain’s inhibitory neurotransmitter, taken as a supplement, calmed me right away. I added TMG (trimethylglycine) and l-taurine and the trace minerals magnesium, zinc and manganese. They worked! With Dr. Slagle’s book as a professional guide, I slowly tested the B vitamins 1, 2, 5, 6 and 12, vitamin D and the antioxidant vitamins C and E. Guided by other books and two doctors, I am taking mitochondrial supplements l-carnitine with ribose and co-enzyme Q-10 and the trace minerals chromium and selenium. At age 50, new symptoms started – difficulty sleeping, problems with memory and focus, low energy and low libido. After reading a newspaper article about a male hormone deficiency, I found a family doctor who would prescribe testosterone supplements. That helped right away. I got a second opinion from Dr. Jerald Bain, a Toronto endocrinologist and medical professor who specializes in andropause and edited Mechanisms in Andropause. Under his care, I continued my bipolar regimen and adjusted the supplements of testosterone, which also works – restoratively. Since 1996, an orthomolecular regimen of vitamins, minerals, amino acids, energy and enzyme co-factors, essential fatty acids, hormones and antioxidants has complemented my antidepressant-anxiolytic medication (an extract of gingko biloba). I have been stable for ten years, with no more episodes of depression or hypomania. After years of painful problems, black and blue moods and symptoms of a bipolar II mood disorder, migraines and anxiety, restorative care helped me recover and stay well. Volunteering became my fourth wellness recovery tool. As an independent volunteer, I can help myself keep well while helping the International Society of Orthomolecular Medicine with their Open Minds campaign – orthomolecular public education and networking. Ten years ago, I started writing books and articles and telling people about restorative care. I appeared in the documentary film Masks of Madness: Science of Healing and spoke at four conferences Nutritional Medicine Today. When people ask about my books or web site www.searpubl.ca I introduce them to restorative orthomolecular care. I worked hard to develop a wellness recovery action plan which has four key tools: (1) bibliotherapy (reading books by recovered patients and health professionals), (2) networking (with support organizations, patients, caregivers and physicians), (3) taking a daily orthomolecular regimen and (4) volunteering. My bipolar brain is not perfect, but perfectly good enough to work, get along with family and friends, consult with clients, write, network and tell people about orthomolecular medicine: restorative treatments for beautiful minds. Even when things get tough, my W.R.A.P. tools help me find competent health professionals, ask for quality medical care, avoid relapse and live well with a bipolar II mood disorder. – Chapter 15 – complementary treatments has several pages about orthomolecular medicine. and he evidently researched from others for his book.